A year ago, generous donors helped build a spring protection system and sanitation platforms for families living around Wakidima Spring. Because of these gifts and our monthly donors, partners are able to visit project sites throughout the year, strengthening relationships with communities and evaluating the actual water project. These consistent visits allow us to learn vital lessons and hear amazing stories – we’re excited to share this one with you. 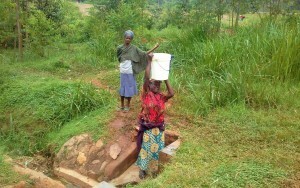 After the protection of Wakidima Spring, people have been able to access clean and safe water for all of their needs. This access is convenient and has helped them save a lot of time. Waterborne disease is now a thing of the past. Both Mr. Jacton and Valarie assured us that their communities are still working on strengthening hygiene and sanitation – but the improvements were already obvious to us. 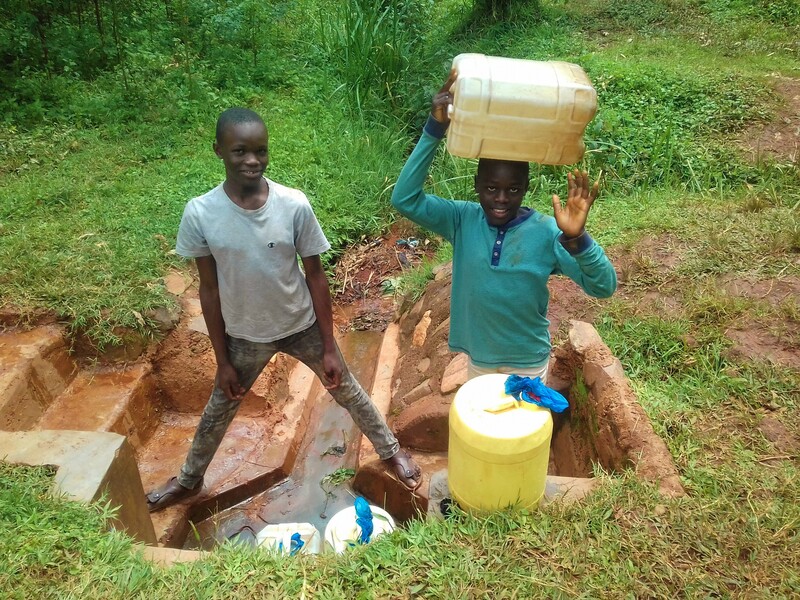 Children were wearing clean clothes, home environments were clean, and the water point was well maintained – the only issue has been a blockage that keeps water from draining fast enough. Beyond the five new latrines built last year, there is still a need for more. Keeping Wakidima Spring flowing with clean water is a way to support this community in all of their endeavors, and we’re excited to stay in relationship with them as they continue their journey. We’re sure that as people continue to support and encourage each other, even more change will follow. 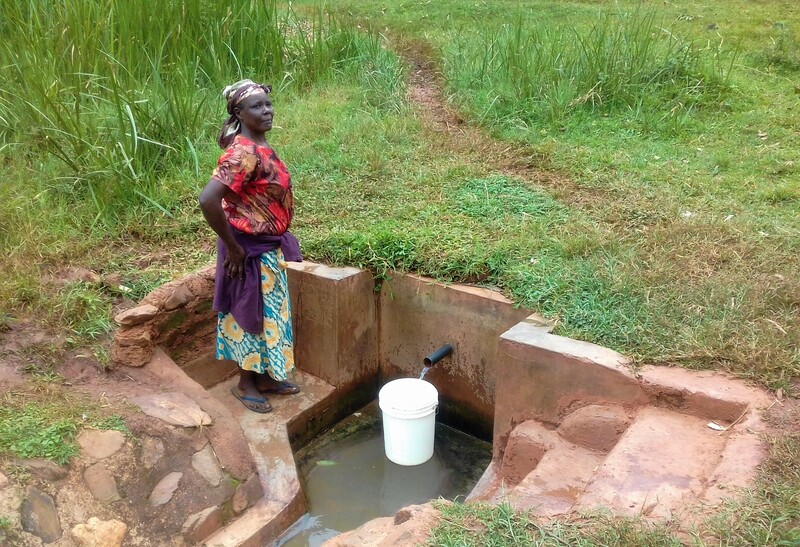 When you invest in The Water Project, you're investing in people like Valarie. Your gifts help us reach more communities with the gift of clean, safe water. And every drop helps unlock potential.